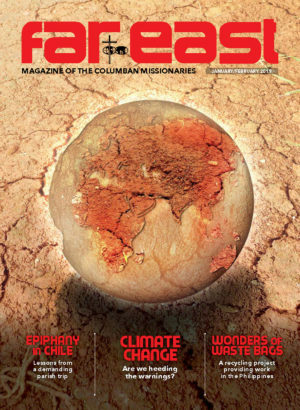 Sr Rebecca Conlon is a member of the incoming leadership team of the Columban Sisters. She was one of the first group to go to Pakistan in 1990. 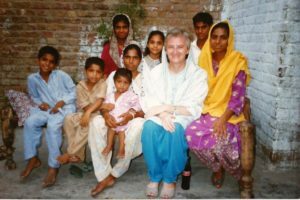 She talks about missionary life and working with the Christian community in Pakistan. Originally from Milltown Malbay in Co Clare, Sr Rebecca, who turned 70 this year, has one brother. The family owned a pub but her father also worked as an insurance inspector with Irish Life. Her grandmother, who lived with the family, was a spiritual influence and set a good example to her grandchildren by attending Mass every morning. 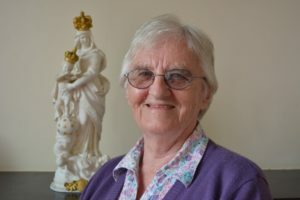 After profession, Sr Rebecca trained as an occupational therapist in London before she was sent on mission to Korea where she worked with the St John of God Brothers in Gwangju at their psychiatric day clinic from 1977 until 1979. When her mother died that year, she returned home to Ireland to look after her grieving father. 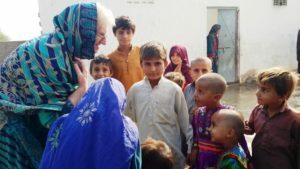 Over the years, Sr Rebecca has been involved in a number of projects in Pakistan. One of these involved visiting women detained in a psychiatric hospital, which was difficult as their circumstances were not good. For almost 12 years, she worked with women incarcerated in the city’s jail. “I ran income-generating projects with them.” Some of the women were in jail for serious crimes like murder, others had been jailed over what were termed ‘adultery cases’ – where a couple defied the culture of arranged marriages and ran away with their loved one to marry. She has, for eight years, been building up another project which is focused on educating children. 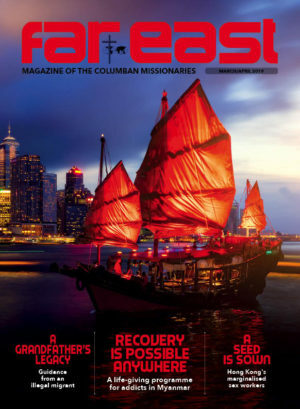 “Trócaire and Misean Cara have been helping me with a tuition centre for Christian children. All their learning was rote learning and I felt something had to be done.” Sr Rebecca’s educational project now has 55 children from kindergarten up to class 10, which would be equivalent to the Leaving Cert. “Part of the problem is that education is not seen as a value in its own right.” But this supplementary education is seeing dividends. Some students have already obtained A grades in their matric state exams. “It is wonderful,” Sr Rebecca comments. She is also involved in the Family Life Commission in the diocese which provides marriage preparation workshops for couples.